Home » Telugu » News » Police complaint lodged against Pawan Kalyan, here’s why! Police complaint lodged against Pawan Kalyan, here’s why! According to media reports, Telugu news channel A.B.N Andhra Jyothi approached the police to lodge the complaint against the power star. Police complaint lodged against Pawan Kalyan, here's why! On Wednesday, a police complaint was filed against actor-politician Pawan Kalyan with the Central Crime Station (CCS) in Hyderabad. According to media reports, Telugu news channel A.B.N Andhra Jyothi approached the police to lodge the complaint against the power star. Reportedly, the complaint has been filed over the video of Sri Reddy making inappropriate remarks. It is also being said that the Jana Sena party chief was intentionally targeting the media outlet with ‘forged’ evidence. “He had posted a forged video clip of actress Sri Reddy abusing him from his Twitter handle. The channel had muted the video and telecast it,” the complainant was quoted as saying. 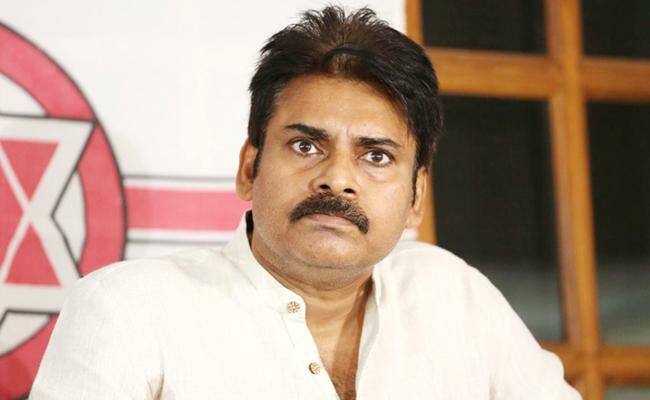 Deputy Commissioner of Police of the Detective Department, Avinash Mohanty, told reporters that the channel said they had censored the objectionable word said by Sri Reddy but Pawan Kalyan had tweeted an unedited version. However, the police are yet to decide to book the case or no. On a related note, this week, reportedly a few self-proclaimed fans of Pawan Kalyan were arrested for allegedly vandalising the broadcast van of ABN Andhra Jyothi in Hyderabad. To uninitiated, Pawan Kalyan recently responded to Sri Reddy’s one of the questions over her fight on the casting couch. The power star responded to it saying the actress should knock the doors of the court or approach police for the justice instead of personalizing the matter and damaging her image. This advice didn’t go well with the actress. In front of media and cameras, she recently took chappal in her hand and started slapping. Sri went on to say that how she made a mistake of calling Pawan as her brother. She even abused the actor went on to show the middle finger to him.